Clth, 10.25 x 11.5 in. / 124 pgs / 118 color / 5 bw. Acclaimed Russian-born American artists Ilya (born 1933) and Emilia (born 1945) Kabakov have been working collaboratively for nearly 30 years. 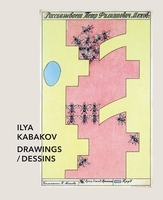 Although built with unbridled imagination and optimism, their installation-based works are directly inspired by the hardships, surveillance and suspicion they endured while living in the Soviet Union. 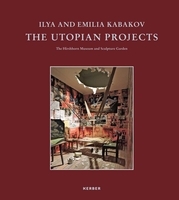 Spanning the years between 1985 and the present day, and published for an exhibition at the Hirshhorn Museum and Sculpture Garden, The Utopian Projects features more than 20 of the Kabakovs' maquettes and models. These elaborate creations are brought to life by the eccentric, imaginary characters that inhabit them, inviting the viewer into a miniature surreal world enhanced by lights, motors, text and music. 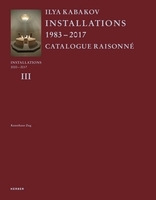 Engaging projects both realized and unrealized, this book includes monuments, allegorical narratives, architectural structures and commissioned outdoor works. FORMAT: Clth, 10.25 x 11.5 in. / 124 pgs / 118 color / 5 b&w.